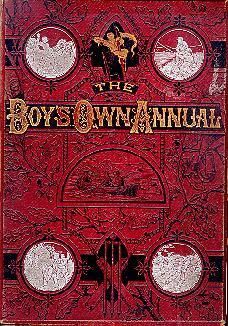 The Boys' Own Papers, was a weekly magazine for boys, founded in 1879 and published by the Religious Tract Society. 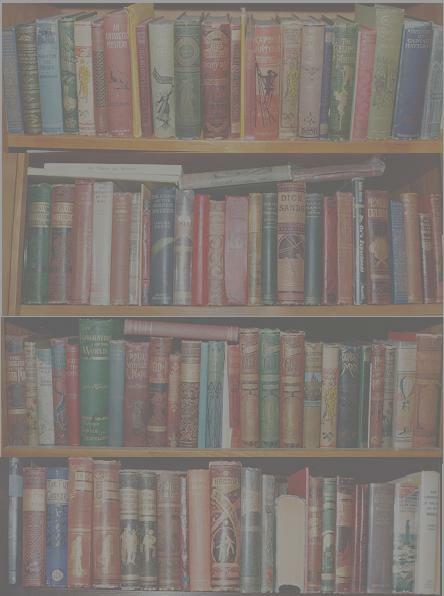 It ran until 1967, reached a circulation around 250,000 and published adventure stories, often with imperialist themes, as well as essays, letters, puzzles, and competitions. Numerous stories by Jules Verne were published in serial form in this paper, and many times, these serial forms of a Jules Verne book pre-date the First English Edition of the book. Note: There was also an American Publication names Boys' Own, published by Charles F. Richards, Boston Mass. This weekly started on Oct 11, 1873 and ran until about December, 1876. Jules Verne's Mysterious Island was serialized in this publication from December 5, 1974 through March 20, 1875. Brian also noted that Boys' Own Paper was also printed in Toronto by the publisher W. Warwick and Sons. "An island to sell, for cash, to the highest bidder!" A Story of Adventure and Mystery Claudius Bombarnac ? Sold for just a penny a week, the Boys’ Own Paper was packed with tales of derring-do, as well as advice that ranged from hobbies to cultivating a moustache. Founded in 1879 and edited by the imaginative G.A. Hutchinson, it was published by the Religious Tract Society. Hutchinson edited the paper through its formative years and died at work in 1913. His years were characterised by an underlying Christian morality and a need to encompass boys of all backgrounds in the readership. Sport was always high on the agenda, with articles written by such names as W.G. Grace and Jack Hobbs. The care of pets, school stories and adventure, both fact and fiction, filled the columns. The colour plates were astonishingly well printed for such a cheap paper, with artists of the calibre of Stanley Wood and Frank Brangwyn providing some of the artwork. The plates showed scenes of big game hunting, railway engines or even flags of the world and were often removed to decorate walls or scrapbooks, a collector’s loss but another indication of the popularity of the paper, which was even read in the trenches in the First World War. Though not first in the field of boys’ publications, the B.O.P. had a more lasting influence on people of all classes and in middle age, many began collecting from nostalgia for the days when manly virtues were a guiding force in boyhood. Writers such as R.M. Ballantyne, Jules Verne and Talbot Reed Baines, of “The Fifth Form at St. Dominic’s” fame, supplied exciting reading, where virtue always triumphed, no matter how daunting the odds but there was also an element of good clean fun to keep the readers, some as old as eighteen, happy. By the 1890s, poorer boys were gradually sidelined, with more concentration on public and grammar school interests. Photographs of Rugby teams, heroes of the University Boat Race and headmasters of the great schools were supplanting the useful advice to factory boys. In 1914, the paper became a monthly and by 1918 the price had risen to 1/6d, where it remained until the Second World War. The paper kept up with the times, with advice on how to make wireless sets, mine laying and gun making. The new monthly necessitated a change of form, with two columns instead of three to each page. The mixture of articles on winter sports, flying, motorcycling and adventure continued to attract readers in the 1920s and 30s. In 1939 it was taken over by Lutterworth Press. A depressing decade of decline followed, as the paper became smaller. An attempt to revive its fortunes was made when it was taken over by Purnell’s in 1963 and doubled in size: this failed to halt the decline and the final edition was published in 1967 with volume 89. The impressive bound annuals are the simplest way for collectors to assemble chronological sets.